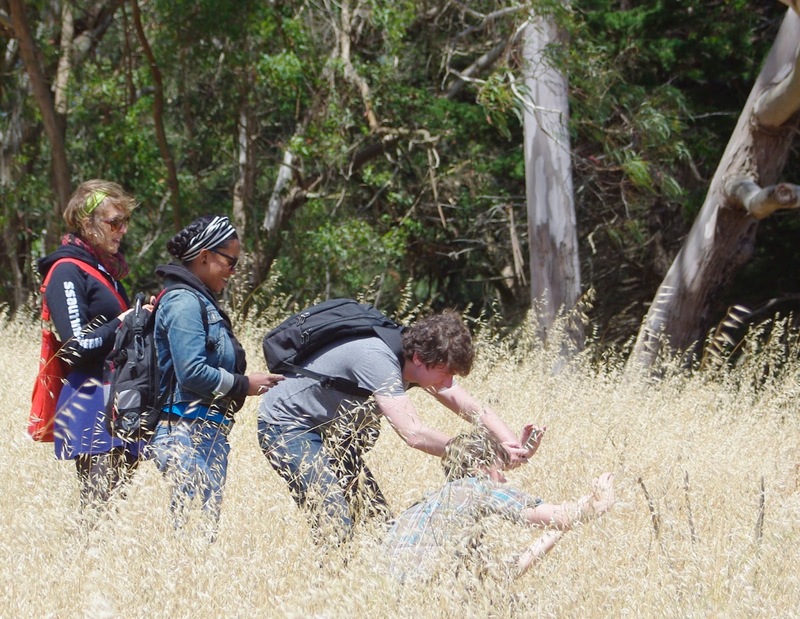 Going on outings like a trip to Morgan Territory was easier back when our two kids were in preschool. Back then I was itchin' to make plans and get outside for long amounts of time. They didn't have lots of activities to schedule around. 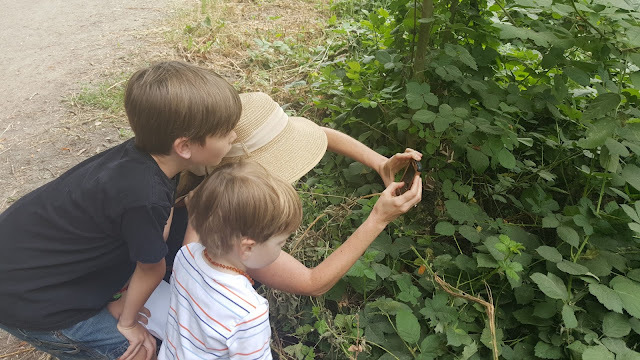 Plus the boys had more energy than I could handle when we were inside the house... take them outside and everyone is happy. Now as elementary school-ers, they have activities they're involved in and it's harder to make the time to go meandering through beautiful green hills for hours on end. It's not really a good or bad thing. It just is. As much as I want to, my family can't go to Morgan Territory tomorrow. The baseball game schedule was announced late this week and there are games that we need to be at on Sunday. BUT YOU SHOULD GO ANYWAY! Maybe you will see other families at Morgan Territory tomorrow at 11am? Maybe you could self-organize? I'm all for it. I've heard from a lot of people that you go the day before or the week after our outings. That's great! Yes! There's a great, short loop going counter-clockwise on Volvon Trail to Condor Trail. You start from the parking lot and walk towards a cattle gate on the other side of the picnic area. After going through the gate, turn right up the hill. Follow trail signs from there. For a slightly longer walk, go on a counter-clockwise loop on Volvon Trail to Blue Oak Trail to Hummingbird Trail to Volvon Trail to Condor Trail. Bring water, food, and sun protection. 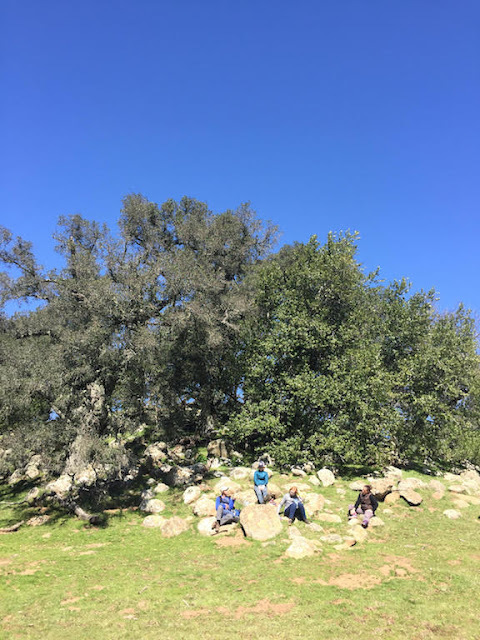 Give yourself and your kids permission to run and climb rocks and explore trees. There might still be some mud, so bring extra shoes to wear afterwards. From I-580 in Livermore, exit onto N. Livermore Ave. and turn north. Shortly after N. Livermore curves left (west), turn right onto Morgan Territory Road and follow it for about 5.5 miles to the staging area. This is one of my favorite drives in the Bay Area. Note that Morgan Territory Road is closed between Marsh Creek Road and the park's trailhead. So don't attempt getting there from the north and places like Clayton. You have to go in from the south which is Livermore (the directions above). Did you go outside this weekend? I certainly hope so. It couldn't be more beautiful out there. We gotta go outside. 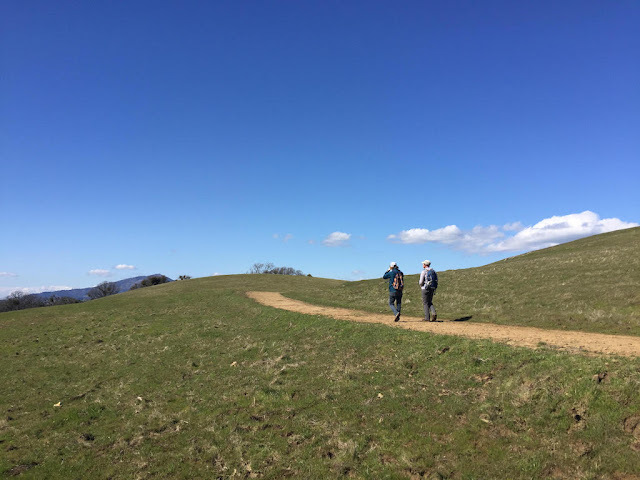 So... join us to explore the green hills of Morgan Territory on Sunday, March 19. We'll meet at the parking lot at 11am. We'll do a 4 mile loop. There's a 1 mile loop for those with little legs or not a lot of time. Bring lunch, water, some curiosity, and your friends. The park is big and the more the merrier. I'll have a map that kids can read, and I'll leave some on the dash of our silver Prius should you come after 11. This is one of my favorite places to go in the spring. Like right now. 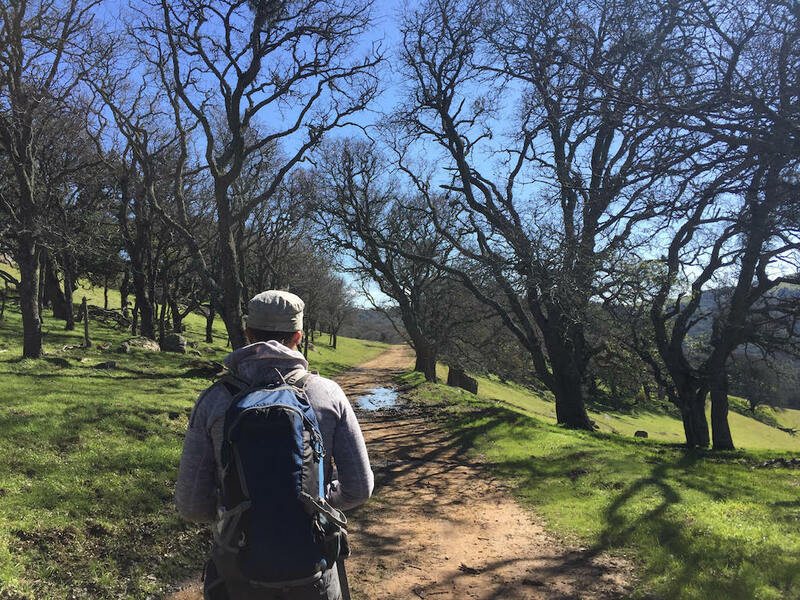 Curious about this place called Morgan Territory? We've been there a few times before with this thing called Outside Kids. Check it out. From I-580 in Livermore, exit onto N. Livermore Ave. and turn north. Shortly after N. Livermore curves left (west), turn right onto Morgan Territory Road and follow it for about 5.5 miles to the staging area. This is one of my favorite Bay Area drives, by the way.